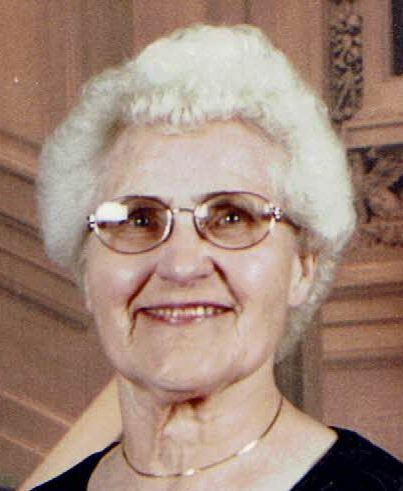 Rita A. Haft, 88, a resident at Pine Haven Christian Community in Sheboygan Falls, passed away on Tuesday evening, August 2, 2016. Rita was born on October 3, 1927, in Kewaskum to the late Oscar and Elizabeth (Kelling) Rosenthal. She attended schools in Silver Creek, Plymouth, and Hingham. On October 16, 1948 she was united in marriage to Vernon Haft in Hingham. He preceded her in death on June 10, 1999. Rita was a member of Faith Baptist Church in Plymouth where she had formerly taught Sunday School and sang in the choir. She was employed seasonally by various companies within the area. Rita thoroughly enjoyed being a homemaker and babysitting for the neighborhood children, whom she became very close with throughout the years. She was also a very dedicated blood donor and even received a donor’s award that she was very proud of. Rita is survived by her sons, Ralph (Deb) Haft of Melrose Park, IL and Robert Haft of Sheboygan; her daughters, Kathleen Konrad of Sheboygan Falls and Nancy Williams of Kiel; her grandchildren, Travis (Melissa) Konrad, Joshua (Kristi) Haft, Leah Haft, and Katie (Garrett) Balbach; two great grandsons, Alex and Dominic Konrad; a sister-in-law Peggy Rosenthal of Sheboygan Falls; followed by other nieces, nephews, relatives, and friends. Rita was preceded in death by two brothers, Ervin and Floyd Rosenthal; two sisters, Edna Klein and Verneda Davenport; and two brothers-in-law, Clarence Klein and Roy Davenport. A funeral service for Rita will be held on Saturday August 6, 2016 at 12 Noon at Wittkopp Funeral and Cremation Services with Pastor Dave Kimmel officiating. Burial will follow at the Hingham Cemetery. Friends and family may gather at the funeral home, 123 South St., Plymouth from 10 A.M. until the time of service at 12 Noon. A memorial fund has been established in Rita’s name. The family would like to extend their gratitude to the staff at Pine Haven Christian Community, along with the staff at Sharon Richardson Hospice. Your kindness and affection is greatly appreciated.